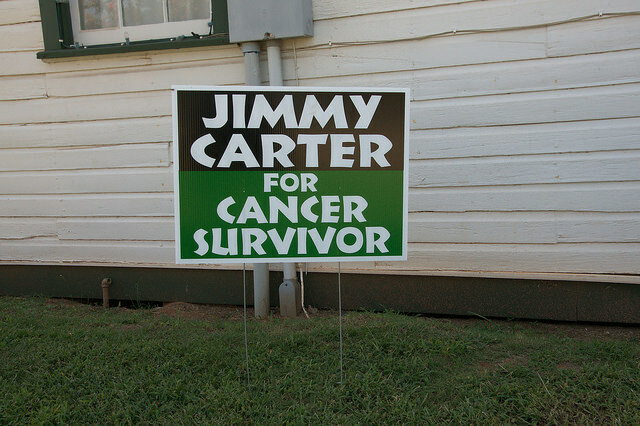 Hang in there President Carter. You have done much for our world. History is on your side. You and your policies are to be admired. In the future, your work will be even more recognized by the masses. May the Lord bless and keep you, make his face shine upon you, and give you peace. Thank you for your contributions. I wish President Carter all the best. Whether agreeing with his politics or not, I think a lot of people agree we are unlikely to see a finer human being in our lifetime. Thanks for sharing the photo. I’d like one, too!